Senior Grand Master Ed Parker, 10th degree black belt, was the foremost authority and instructor of Kenpo Karate, known worldwide as the 'Father of American Karate'. He was a graduate of Kamehameha high school (1949), Honolulu, Hawaii where he was born and raised. Mr Parker received a B.S. Degree from Brigham Young University (1956), with a Major in Sociology and Psychology, and a Minor in Political Science. Mr Parker's uniqueness rests in his continuous efforts to combat traditional restrictions binding progressive thinking, Mr Parker was well known for his exciting demonstrations at: high schools, colleges, civic clubs, clinics, tournaments, church groups, youth groups etc. He was a highly sought after speaker and his Karate demonstrations are famous in the United States and worldwide. He was in great demand throughout the world to put on his blinding demonstrations of speed, skill and power. He frequently travelled giving seminars and demonstrations in Australia, Jersey, Ireland, England, Spain, Chile, Venezuela and Greece. Mr Parker has written over 15 authoritative books about Kenpo and his experiences related to establishing this unique Karate system. Kenpo is pure intelligence of thought and motion. Mr Parker added concepts, theories, principles and innovations not yet employed by other systems. This is what makes his Kenpo system unique, practical, logical, realistic and applicable. It has often been referred to as the 'University of Martial Arts'. It employs linear as well as circular moves, utilising intermittent power when and where needed, interspersed with minor and major moves that flow with continuity. He commenced teaching professionally in Provo, Utah in 1954. 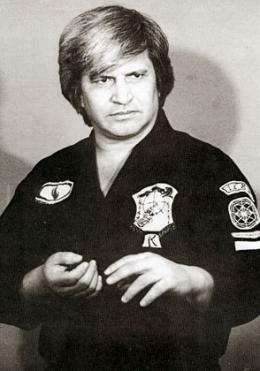 He opened his first professional Karate studio in the United States in Pasadena, California in 1956. 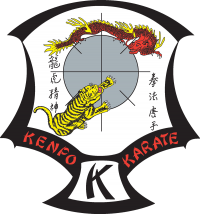 It was one of the first commercial Karate studios in the United States. Today it is the headquarters of the largest Karate Organization in the world. He was featured in National and International magazines: Time, Look, Strength & Health, Show Business Illustrated, Iron Man, Action Karate, Black Belt, Karate Illustrated, Official Karate, Inside Kung Fu, American Karate and Karate/Kung Fu Illustrated. He appeared in dozens of movies and television shows, including: Revenge of the Pink Panther, Curse of the Pink Panther. In addition he taught Karate to famous Hollywood celebrities such as Elvis Presley, Natalie Wood, Robert Wagner, Jose Ferrar and many more. He also had been a technical advisor for motion pictures and TV.